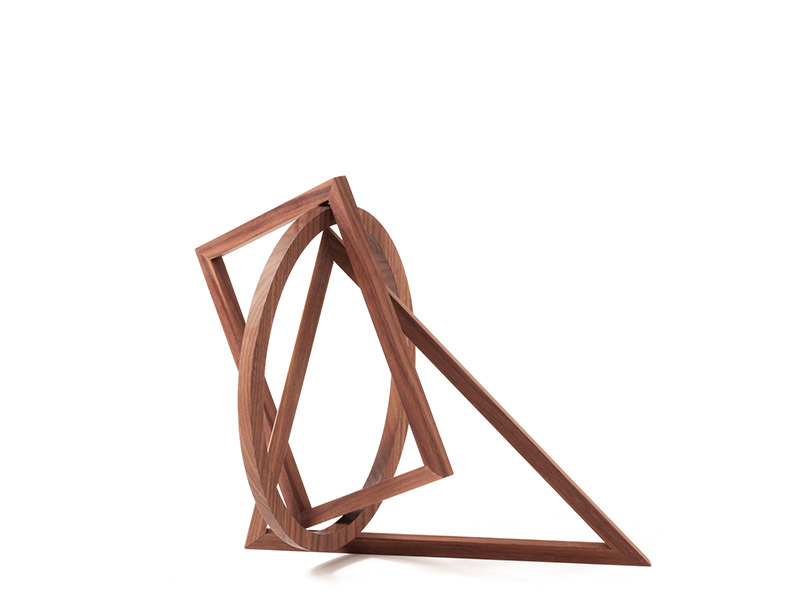 The Formobile, designed by Peer Clahsen, is a beautiful geometric sculpture made of high-quality, oiled walnut wood. 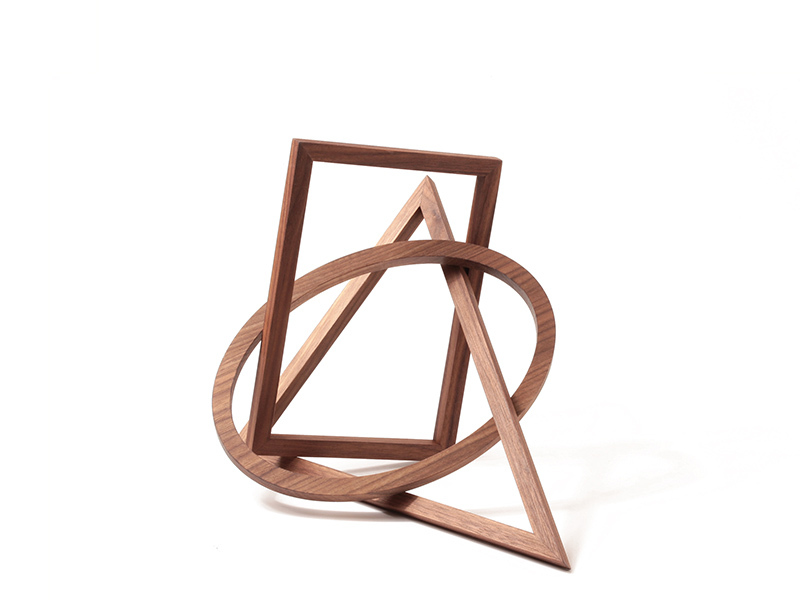 Three frames- a rectangle, a triangle and an ellipse- are interlinked and can be arranged to create infinite forms, juxtaposing positive and negative space. The surface area of the three geometric shapes is the same. 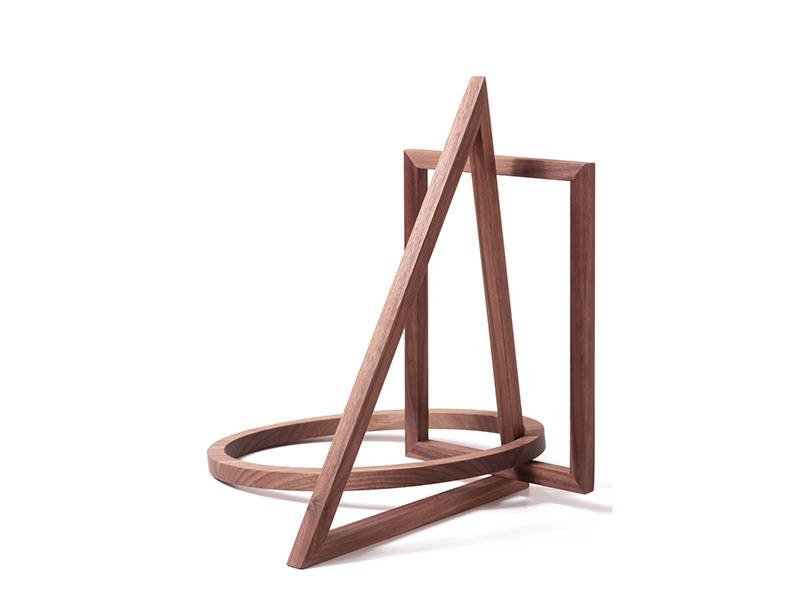 The artist describes the object as follows: “Formobile, as a constructive triad, is a geometric alliance of unified, open-plan interior surfaces. The three-form chain represents a conflict-free system of change, within which formal paradigms (ellipse, rectangle, triangle) create a limited yet infinite range of motion. Peer Clahsen has shaped the history and product range of Naef Spiele AG for over half a century. In honour of his 80th birthday, Formobile will be produced in a signed and limited edition of 199 pieces. It will arrive in beautiful cardboard packaging, with an informational booklet and will be numbered and signed by Peer Clahsen.